Age: Between 21 years and 40 Years (For SC/ST and other Reservation Group) and other Maximum Age will be 30 Years. Educational Qualification: Pass SSLC or Equivalent and should be eligible for Higher Studies and Should have Knowledge in Tamil. 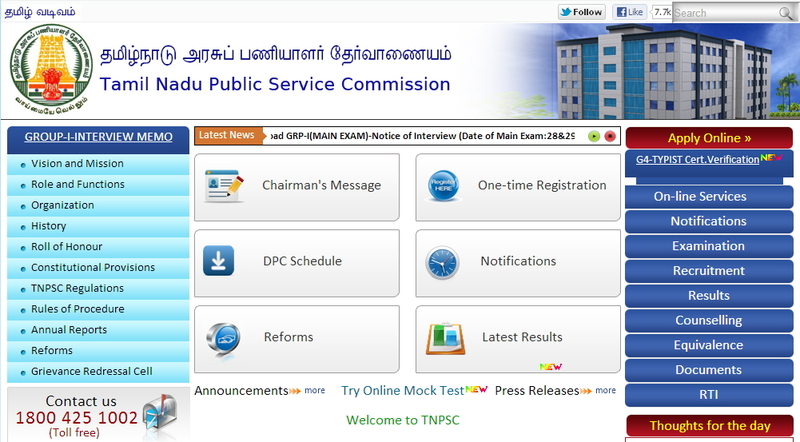 Interested candidate have to visit the website www.tnpsc.gov.in or in www.tnpscexams.ne and apply for the post. Fill the Application Form and Upload the Photo and Signature and Submit the Application. Chalan Form can be taken printout by giving Application Number and Password for offline payment and. Payment can be made through Online using Net Banking or Debit Card or Credit Card.